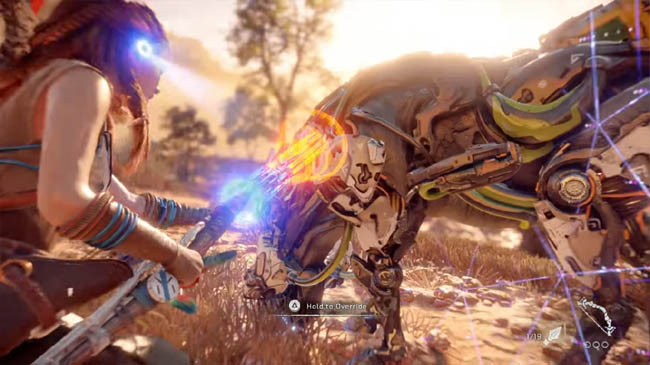 Many of the animals in Horizon Zero Dawn are hackable, turning them into friendly versions and in some cases making them rideable allies that can seriously reduce the time it takes to travel the world map. There's nothing better than having your own rideable robot dinosaur is there!? 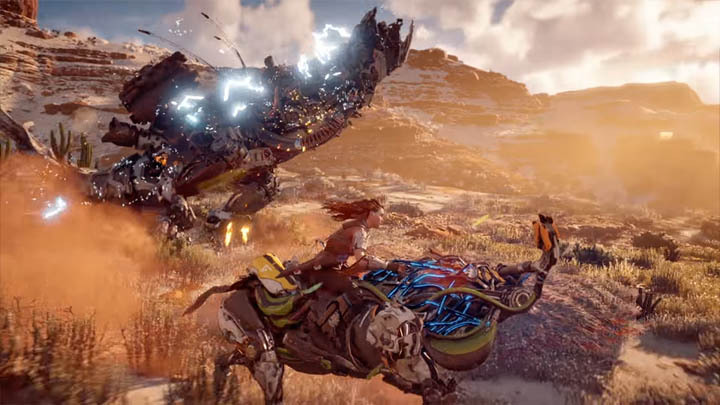 So which animals can you actually ride in Horizon Zero Dawn? Well there's a complete list at the end of this post but for now a little more on the process of actually hacking creatures and turning them friendly. 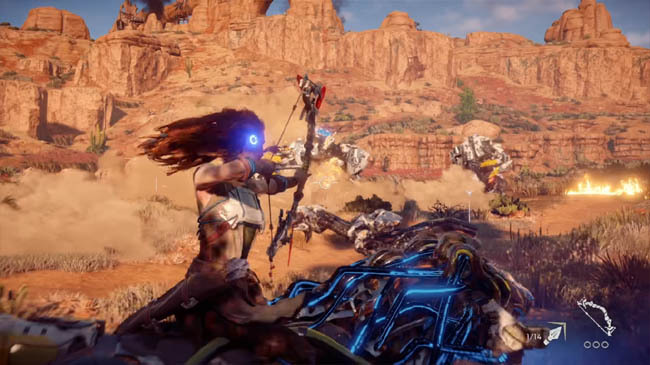 Before you can Override any of the creatures in Horizon Zero Dawn you'll need the special "Override tool". This isn't a craftable items, nor is it hidden in some kind of obscure location. Instead it's a quest related reward that you'll discover during the natural course of the story. I won't say anymore for now. Once you have the override tool, creatures can be tamed but you must wait for the tool to recharge, shown in the bottom right hand corner of the HUD. The wait isn't particularly long but it does help to reduce spam overrides which would make the game too easy. Like in the Far Cry games, players must use stealth to approach a creature they wish to tame. If detected, the creature will either flee or begin to attack, making the override difficult or impossible in some cases. Each class of creature has a particular override point, in the case of Tallneck's this is on their heads, but most are easy enough to find. Once close enough, the Override prompt will appear on screen. Simply hold triangle to complete the Override and the animal's glowing yellow lights change to blue. Some machines are harder to tame than others and particularly aggressive animals are the most difficult. However, once you override a creature it becomes friendly and in some cases will attack enemies for you and allow you to ride it. 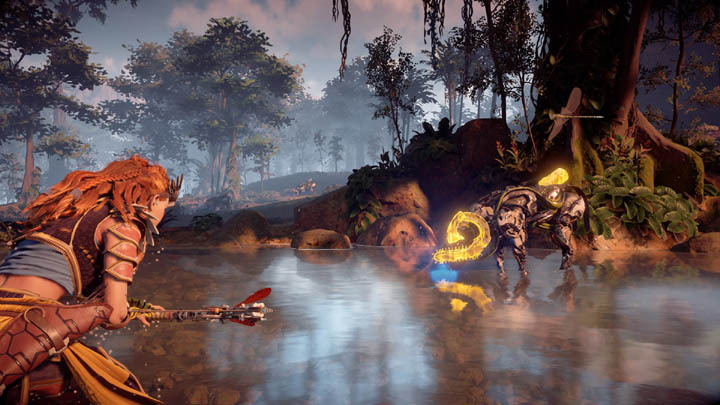 Aloy can even use her bow attack whilst riding a creature, making it even easier to hunt down animals for crafting materials or to out play a particularly tough foe. Some of the higher level machines are not tameable until you override a "core" in one of the games many Cauldrons. There are Cauldrons for each of the machine classes RHO, XI, Sigma etc. See the Cauldrons guide for more information. One of the most useful dinosaurs to override is the Strider. This large cat like creature can be mounted and then used to travel quickly across the map. It's better than fast travel and allows you to assess different areas of the world, flee from attacks and make your next strategic move. Your friendly allie will stay with you until destroyed, at which point you'll need to wait for the timer before you can call in a replacement of the same machine class (if you have the "Call Mount" skill unlocked in the Forager skill tree). Simply use the D-Pad to call in your friend at any time, before or during a fight. Can you ride a Stormbird? One of the largest flying robots called the Stormbird would be an amazing creature to Mount and fly across the map. So can you actually tame one of these legendary beasts for your own use? Unfortunately no. The Stormbird is a fantastic beast to fight against, offering one of the highlights of the entire game but sadly it can never be tamed. 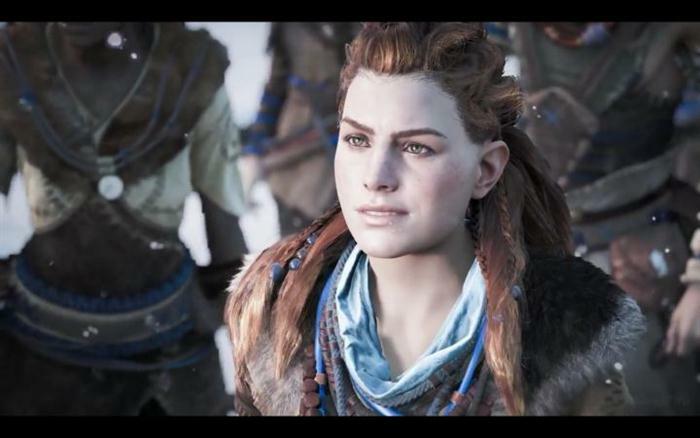 This was even confirmed by one of the Horizon Zero Dawn devs, long before the game was even released. There is hope for a DLC tameable flying machine but the base game offers no such chance.